Adult Mom's debut LP, Momentary Lapse of Happily, out Summer 2015 on Tiny Engines http://tinyengines.net/bands/adult-mom Adult Mom is the project of one Steph Knipe of Purchase College, NY. Started in, and forever brewed in a bedroom, Adult Mom is an exploration into the darker subjects of life, the personal and explicit we are often told to keep to ourselves. At the forefront of Adult Mom is honesty and intimacy as Knipe writes clever pop songs that offer a glimpse into the journey of a gender-weird queer navigating through heartache, trauma and subsequent growth. Life is about temporary moments in time. Everything is fleeting. Love is not lost, it just falls off and manifests elsewhere. 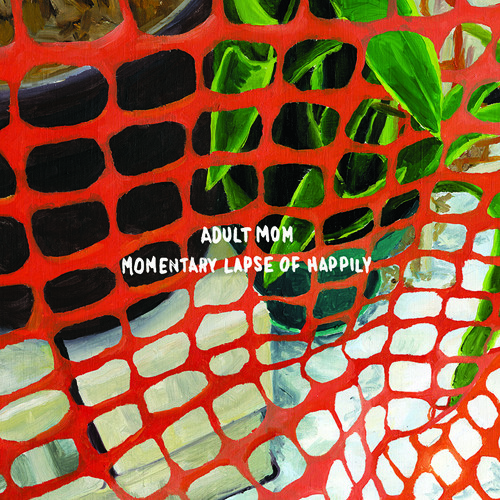 With their debut LP, Momentary Lapse of Happily, Adult Mom bravely shines a light on the darkness and allows the listener to experience and feel those moments along with them. The album may be a snapshot of the temporary but the listen is one that will stay with you long after.